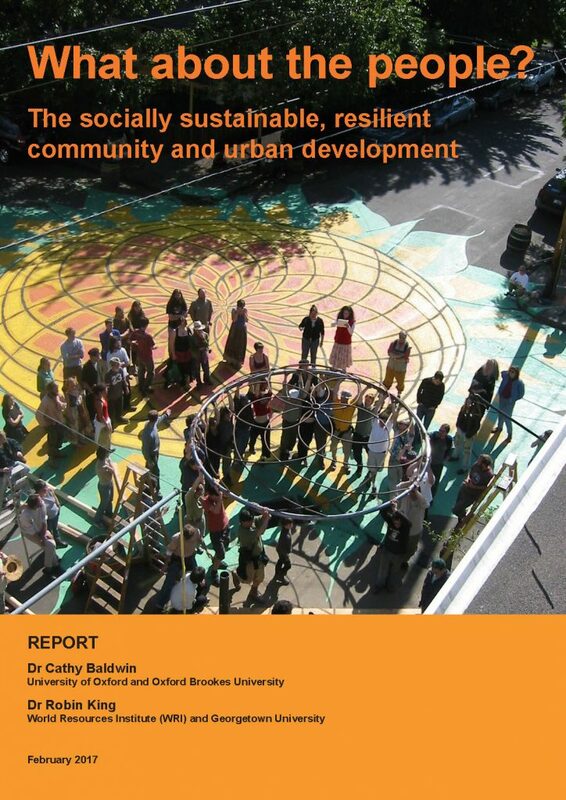 I had the opportunity to design the layout on Cathy Baldwin’s paper ‘What about the People – The socially sustainable, resilient community and urban development‘, which offers a fascinating insight into the ways designing social interaction into communities can lead to improving the mental well being of it’s inhabitants, making places safer to live and providing resilience to natural disasters, particularly in light of the effects of global warming. For me it it was excellent to get my teeth back into Adobe InDesign and it handled the complexity of a 100+ page academic paper with all the text flow, tables and footnotes very well. Here is further information on the CityFix website and the paper as a PDF.